It says here 4/2018, which seems to line up with the PlayStation 4 release. But if you look on the platforms, SEGA-Sammy posted it as the title being on both PS4 and PC. As you know, we just got Yakuza 0 on Steam the other day and have been promised Yakuza Kiwami in the near future. Could we be getting a Yakuza 6 soon as well or is this just SEGA making a mistake? 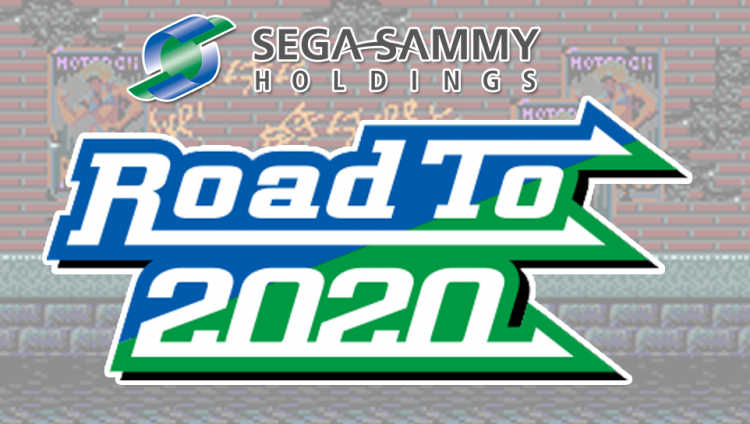 SEGA has released the second Sonic Mania Plus developer diary, in a series of two, this time featuring Sonic Team’s Takashi Iizuka and the Taxman himself Christian Whitehead. The video is a lively discussion about the genesis of Sonic Mania and the recently released Sonic Mania Plus, as well as a breakdown of the new modes and characters. You can check out the first part here. 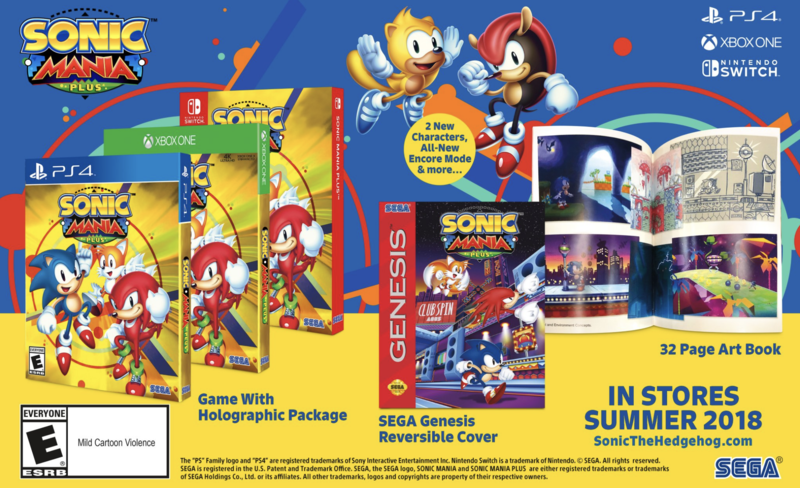 If you have yet to pick up Sonic Mania Plus, you can order the game today for Nintendo Switch, PlayStation 4 and Xbox One via Amazon. SEGA has released a great Sonic Mania Plus infomercial which itself is a throwback to the classic Sonic the Hedgehog commercial featuring a sleazy salesman trying to upsell a customer on the competition. The original ad featured the SNES and Super Mario World going up against Sonic the Hedgehog and a SEGA Genesis, which was $50 cheaper. In the case of the new ad, a $60 first person shooter is going up against the $30 Sonic Mania Plus. There are a lot of funny moments including the FPS graphics featuring finger guns as weapons, the customer – played by Aaron Webber – getting dizzy from the holographic box art, and the salesman – played by actor/comedian/dancer Nathan Barnatt (aka Keith Apicary) hanging up from a phone call in the same way the original ad began. A big thumbs up to SEGA for producing this! You can order the game today for Nintendo Switch, PlayStation 4 and Xbox One via Amazon, and in turn support the site. Sonic Mania Plus releases tomorrow! After the break, check out the original commercial. SEGA has released part one of a two-part developer diary in anticipation of the upcoming Sonic Mania Plus, an enhanced physical release of last year’s Sonic Mania. The first part features Sonic Team creative director Kazuyuki Hoshino and Sonic Mania Plus art director Tom Fry discussing the inclusion of Mighty and Ray, the new aesthetics of Encore Mode and more. 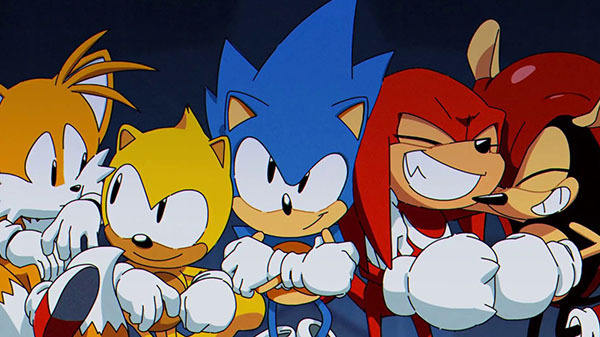 It’s great to see Sonic Mania Plus getting behind-the-scenes videos and we can’t wait for the second part! You can pre-order the game today for Nintendo Switch, PlayStation 4 and Xbox One via Amazon, and in turn support the site. SEGA has unleashed a new trailer for the upcoming Sonic Mania Plus, given us more details on the new updated release and even showed off some Ray and Mighty gameplay! On this episode of the SEGA News Bits we discuss Sonic Mania Plus‘ release date being moved forward, what we thought of the trailer and discuss all the new revealed info regarding the newest ‘plus’ update! Listen in and tell us what you think in the comments below! If you enjoy our SEGA News Bits segments and want to support us: Give us a sub and give this video a thumbs up so it shows up on more like-minded fans YouTube recommendations. You know, how that YouTube algorithm is. You can also support us via Patreon!